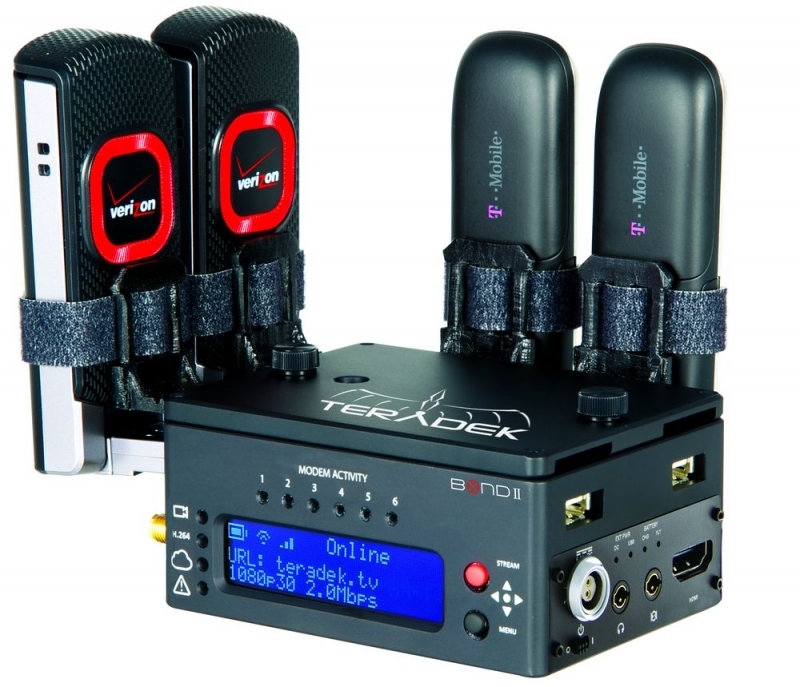 Teradek Bond II HDMI Cellular Bonding Solution Supports up to 6 Modems, includes MPEG-TS The Teradek Bond line of cellular bonding solutions allows video professionals to broadcast 1080p HD video over aggregated bandwidth from several network interfaces, including 3G/4G/LTE, WiFi, BGAN, Ethernet*, and Fiber. Bond devices utilize hardware-based high profile H.264 compression, resulting in very low power consumption and long run times. 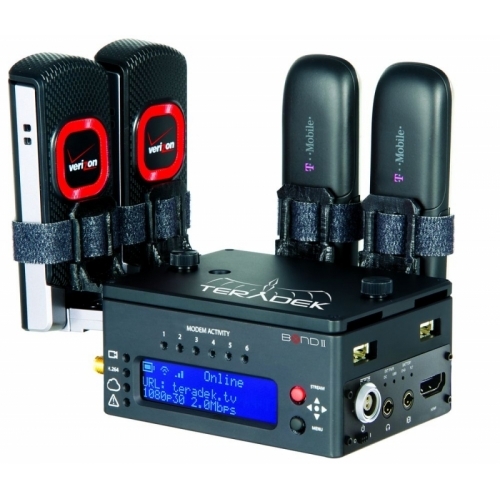 Each bonding solution offers a local monitoring capability on iOS devices, quick access to settings via an OLED display, and IFB for communication from the studio to the field. All Bond devices require a Sputnik server, which converts each bonded feed into a standard video format that can be sent to any streaming platform on the Web or to several H.264 decoders.